In the mastering studio I have recently installed a Crane Song Solaris Quantum DAC (currently it has the lowest published jitter of any DAC in existence) and thought it would be good to write a review, a rather glowing review in fact. I have long been using a Benchmark DAC-1 HD-R and it has put in stellar service (and will be a “ready to go” backup), it has worked very well indeed. From time to time it is necessary to try and procure products that can have a further positive impact on my mastering work. 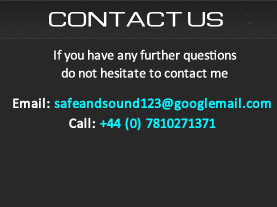 Despite already using high end audio equipment I believe it is possible that the Crane Song Solaris can add even greater value to my mastering services. Technology in audio conversion does not generally happen at a fast rate so I waited until there were quite a few newer generation 32 bit conversion chips in use, in a variety of devices before taking a listen. The Crane Song Solaris fits into the “super high end” category of audio equipment. The Crane Song Solaris Quantum DAC, to give it its full title, is a truly impressive piece of equipment. In the manual it publishes the lowest jitter spec of any DAC currently on the profesional audio market. Jitter is the phenomena of a digital clocking signal wandering (a sample rate timing error). Most converters have a very small amount of jitter and there are a few ways to reduce it. Many converters re-clock the signal and condition it to improve the jitter specs using a PLL (phase locked loop circuit). The Solaris does this to the highest order using technology developed in microwave radio electronics. (Microwave radio electronics is complex and has extremely tight design and physical build requirements as the wavelengths are very short and can result in unexpected problems in ill designed circuits, even surplus PCB traces and component mounting can be problematic) The lower the jitter, the greater the accuracy and sonic details that are resolved from the audio in question. More accurate and detailed reproduction means better mastering decisions. The unit has no more green knobs than is required, a few rotary encoders.. for output gain, digital input selection (AES – S/PDIF coaxial, optical and USB) and headphone amp volume. It has 2 outputs on balanced XLR – Main output variable utilizing discrete Class A transistor output stages. The secondary output is IC based. Upon power up (via metal toggle switch) the outputs need un-muting (I have since discovered you can set it up to auto unmute at power up, which is useful), this is via a relay enabled front panel button. The device automatically sensed an S/PDIF signal and locked and clocked to it. I had high sonic expectations for this DAC as anecdotal reports online suggest it holds its own against DACs that can cost £8,000.00 !!! On initial listening the Crane Song Solaris is tonally not too dissimilar to the Benchmark DAC-1 HD-R (they are both classy pieces of high quality audio equipment). However it sounds as if it is marginally brighter, but not more “top end is added brighter” just superb clarity.. it is clearer, simply clearer in the top. It is tight, dry (no blurring) and super precise, there is detail in the lower mids that means there is less blur or lower mid bloat (it is not leaner though) you can actually hear the presence, clarity and width of lower mid is improved (and this is a tricky area to get right). You quite literally hear what is actually there more easily. Overall it is better defined through the entire audio spectrum. Stereo image seems fast (that’s a new expression for me and most likely relates to strong separation of L and R channels and the super low jitter clocking) So for example a “synth effect type” lower midrange sound that moves left to right 6 times or so over 0.5 seconds (ping-pong delay style), is heard clearly and actually panning and not just a blur, or a vague attempt at resolving what is there. It is like sounds stop and start without any smearing, transients in drums and percussion are more punchy and evident. The phantom centre image is very much present and solid like there is a 3rd centre speaker. The low frequencies are defined, fast, tight and deep, to provide full information without being bloated or overly heavy/boomy. In short, I love the sound. Second output notes: The secondary output sounds very similar indeed to the main output, It would be easy to work with either of them, there is a hairs width between the sound of the main and secondary. I have chosen to stick with the Main output as I am finding a little more clarity both tonally and with regards stereo imaging speration in the lower mid range. It has a sound that seems just right to my ears in my specific monitoring system. Additional thoughts : This device is so incredibly informative that it is making mastering easier. The jitter artifacts are so low that the presentation of music very quickly lets you know if any type of processing that is being applied is detrimental (distortion, transients, stereo image, dynamics etc.) And that is true for both analogue or digital..it is easy to be fooled that a favourite process is doing no harm and this DAC very clearly presents in A/B testing whether any process is an improvement or not. I am very impressed and pleased with this DAC. I look forwards to the Interstellar ADC from Crane Song being released. (It reportedly has the lowest jitter clock specs… improvement over the Crane Song HEDD ADC) I am so pleased to be able to offer this “second to none” equipment to my clients. The unit also has a detailed and very useful headphone amplifier which in mastering is ideally for restoration / defect removal purposes. De-clicking and other remedial work using headphones is easily serviced by this powerful, clean and neutral headphone amp. It is early days but undoubtedly the new Crane Song Solaris DAC is a monitoring upgrade which I am still learning about in terms of monitored sound. With already available high end equipment it can become difficult to make meaningful improvements in the quality of reproduced sound, those extra few percentage points of useful information. The Solaris is actively doing this from the outset and will make mastering decisions even more enjoyable and most importantly accurate. A DAC really is crucial as every decision that is made is performed relying on the audio it produces. I am very pleased with the new device and it will further assist mastering end results.